Below are a selection of previous woodboat building questions. You are welcome to browse through the list, your problem may have already been answered. Or use the search box at the bottom on the page. If you have any answers or suggestions to make, please click on the question and join in. Everyone's opinions and experience are invaluable. Klaus would like your opinion on whether a 25 HP outboard engine really enough for the Sea Rover he is building? Klaus wants to know if anybody sees a major problem with enlarging the "Sea Rover". David is looking for some thoughts on building a houseboat before he starts building the pontoons in the next week or so. 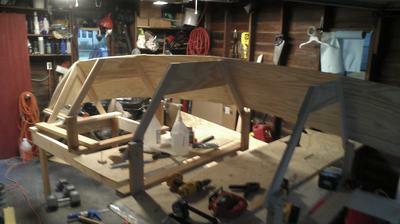 Can anyone help Gerold with pictures and details about finishing the "Sea Rover" that he is building. Johnathan accidently cut into his rotary steering, will it still work alright? 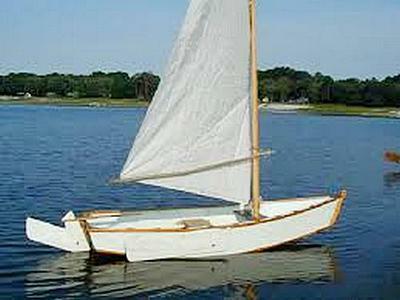 Ron wants to know if there is a boat building firm in the US that would be prepared help him build a 22ft “Shilling”. Kevin wants advice on altering the sail plan and using a dagger board on the David Beede "Summer Breeze" he is building. Mike has a question about the way dimensions are shown in the offsets. Can Richard layer 2 woven fiberglass with 1 carbon fiber (on top) together or does he need to stay with the same on 3 layers? 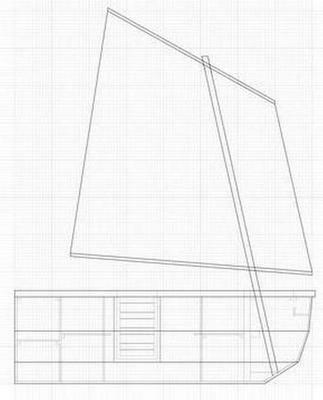 Does anybody have any simple plans to build a 35' to 40' wooden trimaran? Tbone wants to know your thoughts on using green wood to build a house boat. What boat should Bob build for his grandsons to learn sailing on? Will "Coat It" work as good as a skid plate? 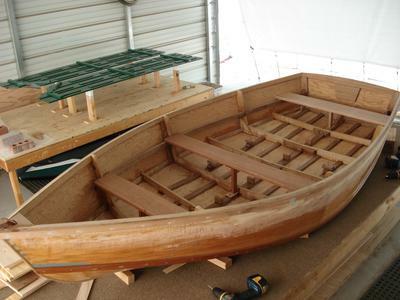 David would like suggestions on building a 12ft wooden boat to take his heavy outboard. Dave would appreciate advice on building a radar mast/post for a 20 foot open cockpit runabout. 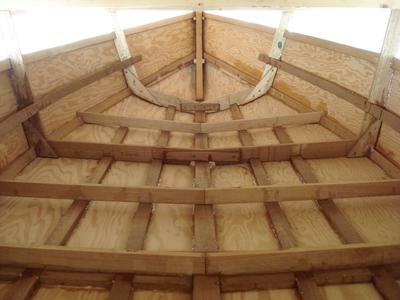 How can Eric install wooded rails on the upper portion of his 14 ft Amesbury Dory? Captain Hugo is looking for advice about using “PP Honeycomb Plascore” to build a dinghy. Jon is about to build a PM 38 and wants to know what common types wood readily available. Roger would appreciate advice on how easy or otherwise it would be to get planking to confirm to the curves, especially the bottom planking towards the bow. And whether there is any significant advantage in the orientation of the planking in one direction as compared to the other. Zach has question about the Bolger Dory Type V he is building for his daughter. Don has a simple question about installing the rowlock sockets on the edge of a wooden rowboat. Woodboat building question; how can a 10ft boat be build using 8ft plywood sheets? 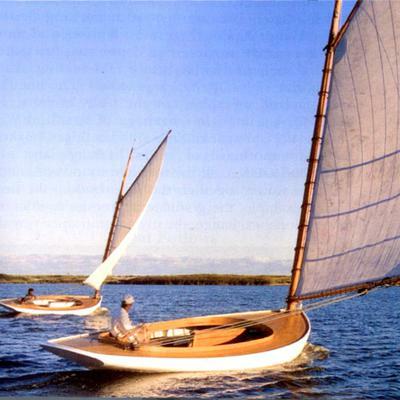 Tom is looking for information on a Biplane keel stepped junk rig for the Wharram Tiki 38 he is building. Should Bob use some kind of bedding/sealant under the fittings on the plywood optimist pram he is building? Chester is getting ready to purchase the wood bottom planks for his DIY utility boat and would like suggestions for the plank width. Brett wants some advice about building amas for his kayak for sailing. Don would appreciated any advice concerning the joint between the thwarts and the supporting risers on the ten foot, wooden rowboat he is building. Should Mike use acrylic or lexan to make a portlight for his forward hatch? The more information you give the easier it will be to provide a pertinent answer. 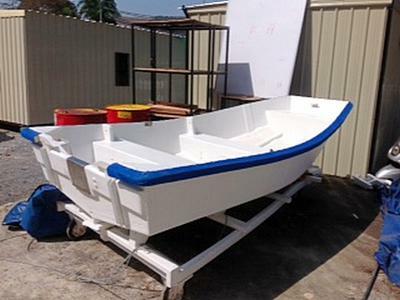 Thing you might like to include are the type of boat, her size, her construction and the type of timber used. Please tell us as much as you can as we really do want to help if we can. click on this link for the Photo Upload Form. Entering your question is easy, just type into the form. Please tell us as much as you can as we really do want to help.